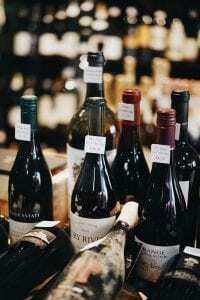 Moishe’s wine storage NYC service is an enterprise fully dedicated to the development and preserving of fine wine. Our expert sommeliers understand that wine is a living, breathing element that needs the perfect conditions to ripen into maturity. Whether you are a personal collector or own stock for a restaurant, Moishe’s is dedicated to providing you the cleanest and most spacious climate-controlled facility for fine wine storage in NYC. Our units are equipped with state-of-the-art security technology and museum-quality temperature controls for your wine storage needs. When you enter into one of our storage facilities, we ensure your 100% satisfaction. Our customer service team aims to provide you with NYC’s premier storage experience. No matter when you need to access your collection, you’ll always have a team member ready to help. That’s part of the Moishe’s difference. Our security standards are higher than other storage facilities in the city. At Moishe’s, we provide a number of unique storage features. At Moishe’s, you never need to worry about the safety and security of your unit. We employ 24/7 security patrols to monitor our extensive CCTV camera recording systems in every hallway of our storage space. We utilize motion detectors, security checkpoints, burglar alarms and the latest fire suppression technology to ensure theft prevention or damage. All our storage units come with full cement and steel construction. Our facilities are kept at a constant 55 degrees to avoid “cooking” the wines, and a humidity level of 70% to stop evaporation and exposure to oxygen. Fully-monitored light levels allow a slow evolution of the aging process, and a completely vibration-free structure prevents spoilage and ensures your wine remains motionless for preservation. At Moishe’s, we take the proper storage of your fine wines seriously. That’s part of our promise to you as a customer, in addition to our 100% customer satisfaction guarantee. Feel free to stop in to the Moishe’s wine storage NYC location nearest you today. Or you may schedule a complimentary consultation with one of our account managers. Whatever your storage needs, at Moishe’s, we have the space for you. With over 20 different unit sizes, you’re sure to find the perfect fit for all your storage needs.